Are you looking for an effective way to synthesize current evidence on a public health topic? Conducting a rapid review might be just what you are looking for! 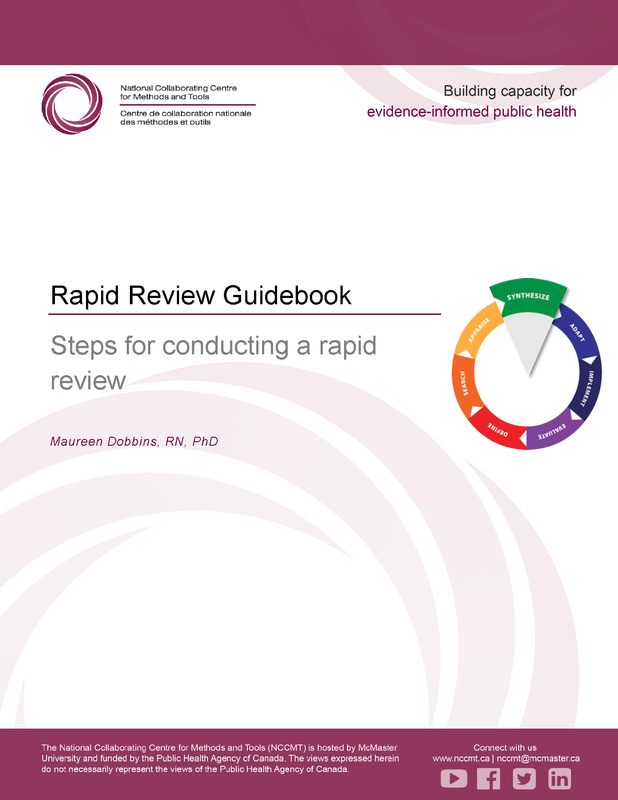 The National Collaborating Centre for Methods and Tools (NCCMT) has developed a Rapid Review Guidebook that details each step in the rapid review process, including guidance on how to structure the report and what to include in each section. Click here to download the Rapid Review Guidebook. To learn more and to download this resource, click here.